The Indian Pentecostal Church of God (IPC) is the largest indigenous Pentecostal denomination in India. The Christian movement in India was pioneered by the disciple of Lord Jesus Christ, Thomas the Apostle, who traveled outside the Roman Empire to preach the Gospel, traveling as far as India. According to tradition, the Apostle reached Muziris, India in 52 AD and baptized several people. The origins of the Indian Pentecostal Church of God can be traced back to the Pentecostal movement in India to the early 20th century and the church has been growing ever since. The great revival of the twentieth century broke out in Central Travancore among the traditional Christian churches. As a result of the movement of the Holy Spirit, several congregations and prayer fellowships evolved under various independent leaderships in Malankara. The chief architect and the founder of IPC was Pastor K.E.Abraham, a powerful orator and writer. Pastor K.E. Abraham received the baptism of the Holy Spirit in 1923. Apostle P. M. Samuel, Pastor T. G. Oommen, Pastor K.C.Cherian, Pastor P.T.Chacko, Pastor K.C.Oommen, Pastor P.T. Mathew and many others were also filled with the Holy Spirit in Nineteen Twenties. Gradually a fellowship was formed by these independent leaders and the first united Convention was held at Ranny in 1925 April. These fathers of faith, In 1935 registered ‘The Indian Pentecostal Church of God’ as a Religious Society at Eluru, Andhra Pradesh. The First President was Apostle P.M.Samuel. Presently, IPC has over 7000 congregations around the world. Administrative headquarters is at Hebron, Kumbanadu, Kerala, India. The local churches belonging to this movement span the length and breadth of India as well as countries outside India in North America, Middle-East, Europe and Australia. The local churches under IPC are by origin, administration and its practices truly indigenous and are led by local ministers and leaders. The current executives are Rev. 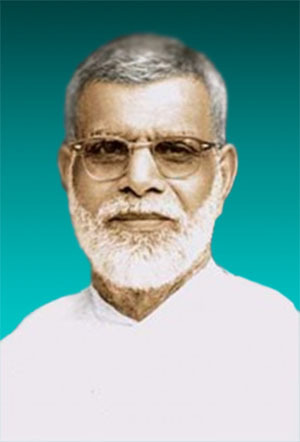 Jacob John (General President), Rev. Dr. Baby Varghese (General Vice-President). The Holy Scriptures as the revealed will of God, the all sufficient rule for faith and practice. The Holy Bible consisting of sixty-six (66) books including the Old and New Testament, is the inspired Word of God, a revelation from God to Man, concerning the will of God in all things necessary to our faith, conduct and salvation, so that whatever is not contained therein is not to be enjoined as an article of faith (Hebrews 4:12; 2 Peter 1:20-21; 2 Timothy 3:15-17). In one God, eternally existing in three persons, namely the Father, the Son and the Holy Ghost (Deuteronomy 6:4; Isaiah 43:10-11; Matthew 28:19; Mark 12:29). That Jesus Christ is the only Begotten Son of the Father, conceived of the Holy Spirit, and born of virgin Mary (Isaiah 7:14; Matthew 3:16-17)., that Jesus Christ died at the cross, and was buried and raised from the dead; that He ascended to heaven and is today at the right hand of the Father as our intercessor. In the Holy Ghost, the Lord and giver of life, who proceed from the Father and the Son; who with the Father and Son together is worshiped and glorified (John 14:16-17). That man was created in the image and likeness of God, but fell by voluntary transgression and his only hope of redemption and salvation is in Jesus Christ; that all have sinned and come short of the glory of God, that repentance is commanded of God for all, and is necessary for forgiveness of sin; that salvation, new birth and justification are wrought by the grace of God, and faith in the Lord Jesus Christ and the renewing work of the Holy Ghost (Genesis 1:26-31; 3:1-7; Romans 5:12-21; 6:23; 10:13; Titus 2:11, 3:5-7). The inward evidence of salvation, new birth and justification to the believer is the direct witness of the Spirit, and the outward evidence to all men is a life of righteousness and holiness (Romans 8:16; 12:1-2). In the ordinance of water baptism by immersion, in the name of the Father, and of the Son and of the Holy Ghost, for all who repent and believe Jesus Christ as Savior and Lord (Matthew 28:19; Acts 10:47; Romans 6:4). All believers are entitled to and earnestly seek the promise of the Father, the Baptism in the Holy Spirit according to the command of our Lord Jesus Christ; that the full consummation of the Baptism of the believers in the Holy Spirit is evidenced by the initial sign of speaking with other tongues as the Spirit give utterances and by the subsequent manifestation of the gifts and fruits of the Spirit (Luke 24:49, Acts 1:4-6; 1:8; 2:4; 2:38; 10:44-46; 11:14-16; 15:7-9; 19:2-6; 1 Corinthians 12:1-31). The Lord’s Supper consisting of the elements of bread and the fruit of the wine, is a memorial of His sufferings and death and a prophecy of His second coming, and will be enjoined by all believers, “until He comes” (Luke 22:17-20; 1 Corinthians 10:16,17; 11:23-32). Deliverance from sickness is provided for in the atonement and is the privilege of all believers, and the anointing of the sick with oil for healing and the laying on of hands (Isaiah 53:4; Matthew 8: 16-17; Mark 16:18-20; James 5:14-16). The Church is the body of Christ, the habitation of God through the Spirit, with divine appointments for the fulfillment of His great commission; and that a divinely called and scripturally ordained ministry have the two fold purposes of evangelization of the world and the edifying of the body of Christ (Ephesians 1:22,23; 2:19-22; Hebrews 12:23; Mark 16:15-20; Ephesians 4:11-13). In the pre-millennial second coming of Jesus Christ, the resurrection of those who are asleep in Christ, and the rapture of those who are alive and remain in the coming of the Lord, is eminent and is the blessed hope of the Church (Romans 8:23; 1 Corinthians 15:51-52; 1 Thessalonians 4:16-18; Titus 2:13). In the appearance of the Lord Jesus Christ from heaven, the salvation of all Israel, and the millennial reign of Christ on this earth is the scriptural promise and the world’s hope (Romans 11:25-27; 2 Thessalonians 1:7; Revelation 19:11-16; 20:1-7). That the devil and his angle, the beast and the false prophet, and whosoever is not found written in the Book of Life will be cast into everlasting punishment into the lake that is burning with fire and brimstone (Revelation 19:20; 20:10-15). In His promise and look for new heavens and a new earth wherein the righteous will dwell (2 Peter 3:13; Revelation 21:1). The Indian Pentecostal Church of God (IPC) is the largest Pentecostal organization in India. Its headquarters is situated in Kumbanadu, in the Pathanamthitta district of Kerala. It has about eight thousand local churches spread over all states of India, besides the Middle East, America, Europe, Australia and Africa and so on. The Church believes that the Holy Bible consisting of sixty-six books including the Old and the New Testament, is the inspired Word of God, a revelation from God to Man, concerning the will of God in all things necessary to our faith, conduct and salvation, so that whatever is not contained therein is not to be enjoined as an article of faith. It believes in one God, eternally existing in three persons (Trinity), namely the God the Father, the Son and the Holy Ghost. It believes that Jesus Christ is the Son of God, was conceived by the Holy Spirit, and born of the virgin Mary. It also believes in Christ’s Death, burial, resurrection, and ascension. It believes that man was created in the image and likeness of God, but fell by voluntary transgression and his only hope of redemption and salvation is in Jesus Christ; that all have sinned and come short of the glory of God, that repentance is commanded of God for all, and is necessary for forgiveness of sin; that salvation, new birth and justification are wrought by the grace of God, and faith in the Lord Jesus Christ and the renewing work of the Holy Ghost. It believes in the ordinance of believer’s baptism by immersion, in the name of the Father, and of the Son and of the Holy Ghost, for all who repent and believe Jesus Christ as Savior and Lord. It believes that all believers are entitled to and earnestly seek the promise of the Father, the Baptism in the Holy Spirit according to the command of our Lord Jesus Christ; that the full consummation of the Baptism of the believers in the Holy Spirit is evidenced by the initial sign of speaking in tongues and subsequent manifestation of the Spiritual gifts and Fruit of the Holy Spirit. It believes that the deliverance from sickness is provided for all in Christ’s atonement and is the privilege of all believers, and the anointing of the sick with oil for healing and the laying on of hands. It believes in the promise of new heavens and a new earth wherein the righteous will dwell.